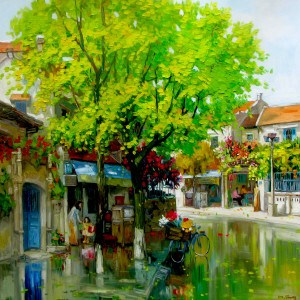 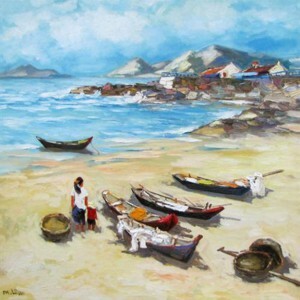 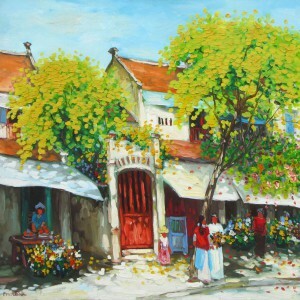 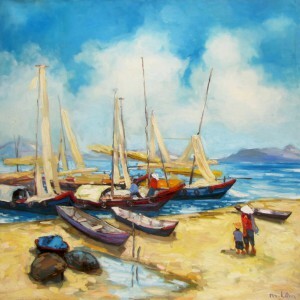 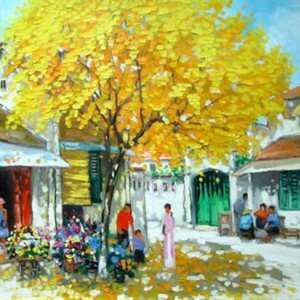 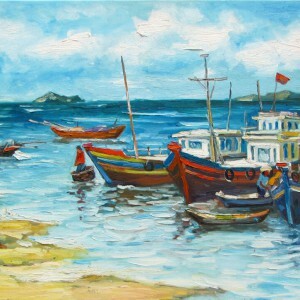 Sea is one of the central motifs in the works of contemporary Vietnamese artist Lam Manh. 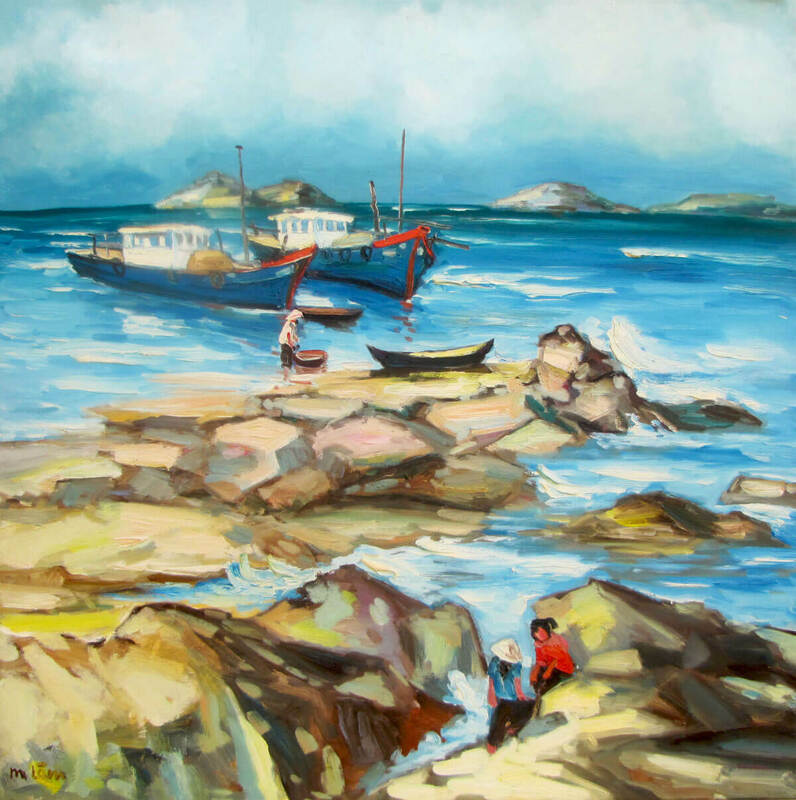 Here, he shows a rocky seashore, not rare in Vietnam, with tiny human figures almost lost in it. 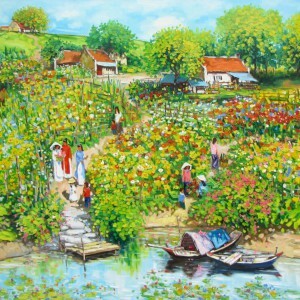 The whole landscape is painted in a playful manner with accentuated brushstrokes. 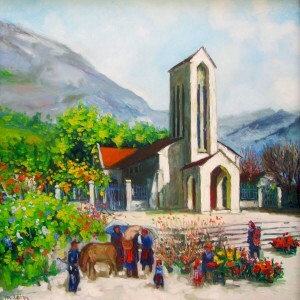 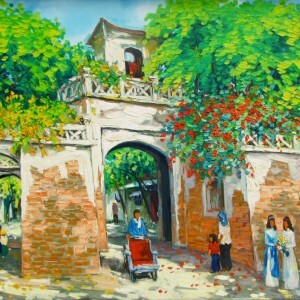 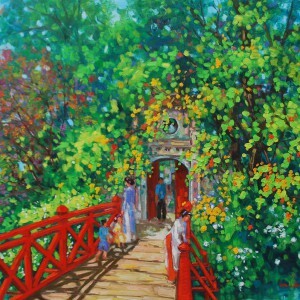 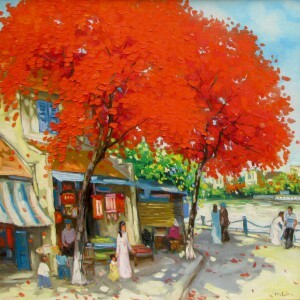 This is a good example of contemporary landscape painting in Asia.